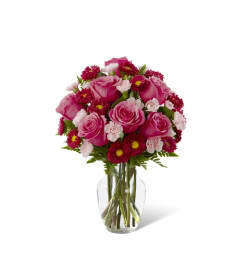 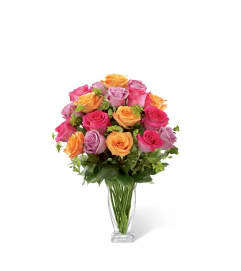 Let your sweet sentiments shine with vibrant color and exuberant elegance. 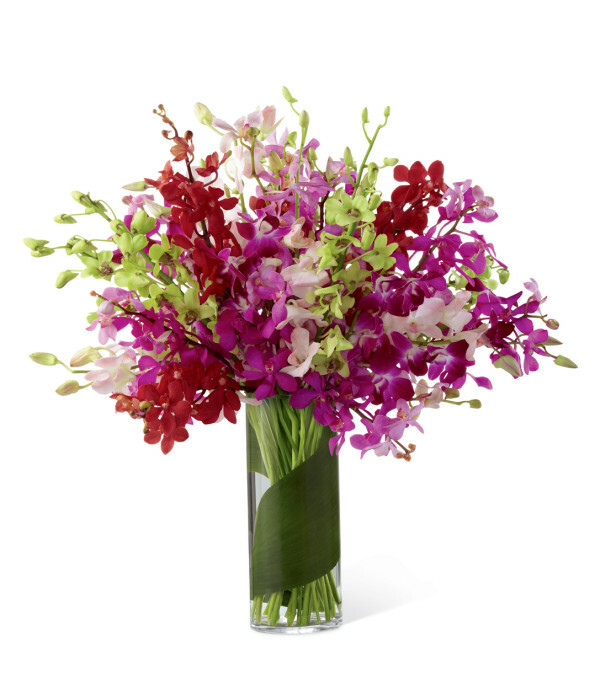 An assortment of brilliant dendrobium orchids in the shades of red, lavender, green, fuchsia, hot pink and pale pink are brought together to create a simply fantastic display. Wrapped in a single tropical leaf and perfectly arranged in a superior clear glass vase, this bouquet will delight your special recipient with its exquisite beauty and long-lasting blooms.